I hear from a lot of family and friends that they just don’t feel comfortable in the kitchen. Which is odd to me, because the kitchen is my comfort place. The heat of the stove and a glass of wine in hand just lead me to my zen after a long day of work. 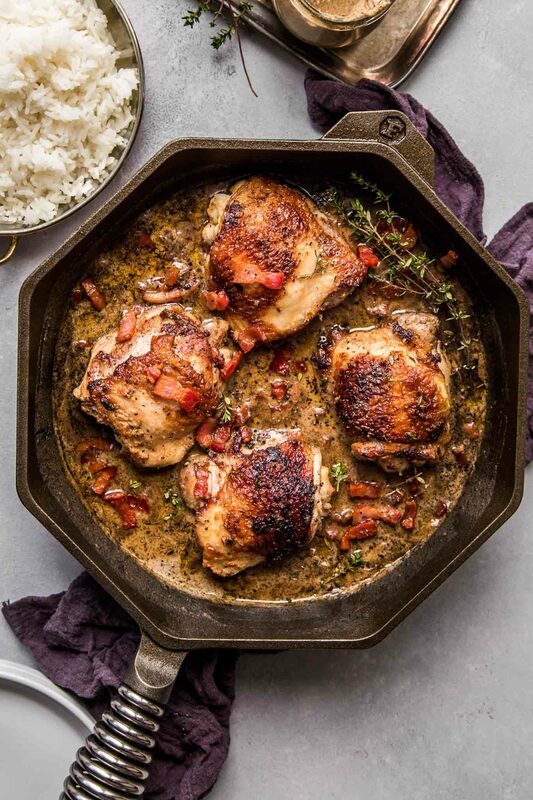 I’m certain that with this recipe for One Skillet Chicken with White Wine & Mustard Cream Sauce in hand, you can vanish all those thoughts from your head. Why? It’s super easy – Even a novice cook can master this recipe. 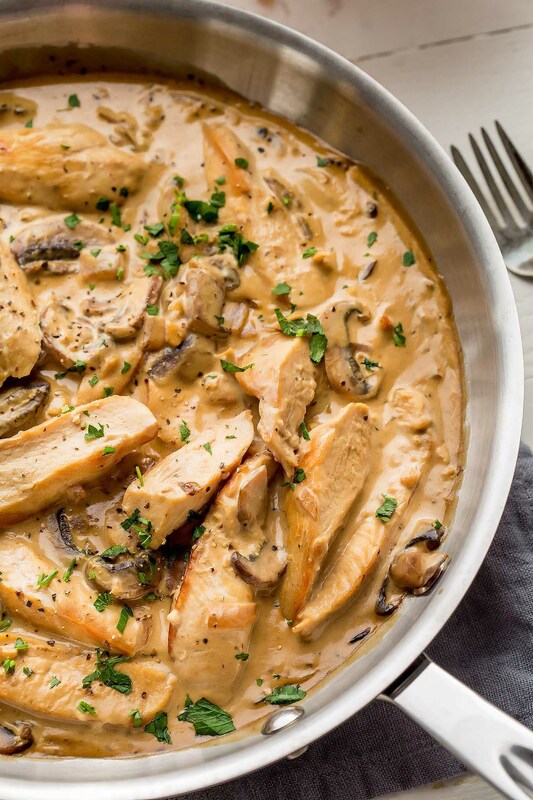 Everyone loves this dish – Chicken, bacon, cream sauce – It’s a crowd pleaser! Just 30 minutes is all it takes to make this yummy dish. As mentioned before – It’s EASY! It all cooks together in one-skillet. Meaning less dirty dishes. I’m calling this dish the New Comfort Food – Food that lets you get comfortable with cooking. While the traditional meaning of comfort food was rich, heavy dishes, like Macaroni and Cheese, Short Ribs, or Osso Buco, there’s no reason that we can’t define comfort food in a new way. I want all you non-believers out there to give this one a shot. Turn on some music, pour a glass of Chardonnay (it’ll go perfectly with the amazing dish you’re about to prepare), and heat that skillet to medium-high. When you’re cooking a simple dish, it’s important to use high-quality ingredients, that will really shine through. Of course, the chicken is the star of this dish. I’m using free-range boneless, skin-on chicken thighs. However, feel free to substitute in your favorite cut of chicken – Boneless, skinless, chicken breasts work equally as well in this recipe. So, all of you non-believers out there… I promise this recipe will be an instant ego-boost in the kitchen. Promise. It’s time to get comfortable in the kitchen. The wine helps… Just serve this simple dinner up with some white rice and a peppery green salad and you’re good to go. 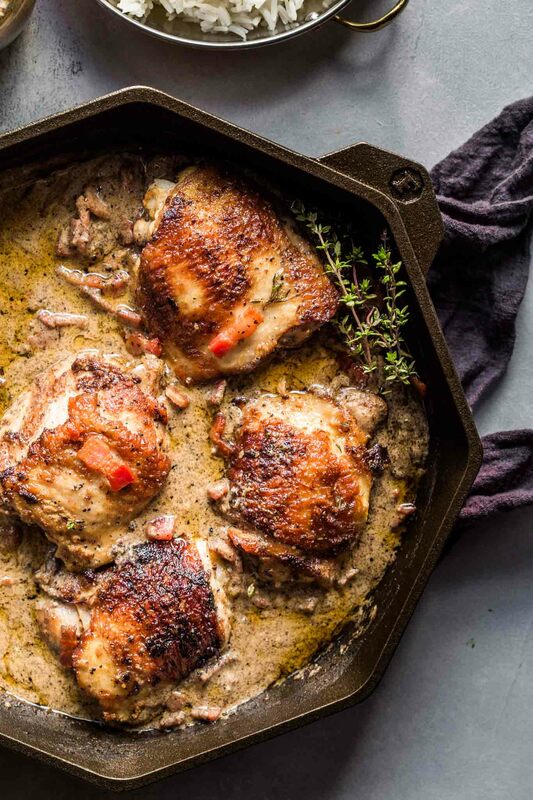 This One Skillet Chicken with White Wine & Mustard Cream Sauce cooks in 30-minutes or less - Making it perfect for weeknight dinners! Plus, the sauce will make you want to lick your plate! In a small bowl, mix together 1/2 cup Dijon, paprika, and a pinch of salt and pepper. Rub the mixture onto your chicken thighs and set aside. Chop the bacon and add it to a large skillet over medium-high heat. Allow to become browned and crispy, and then removed with a slotted spoon to a plate lined with paper towels. Drain half the grease from the skillet. To the skillet, add the chicken. Allow to cook for approximately 4-5 minutes per side, until browned. Remove from skillet and set aside with the bacon. 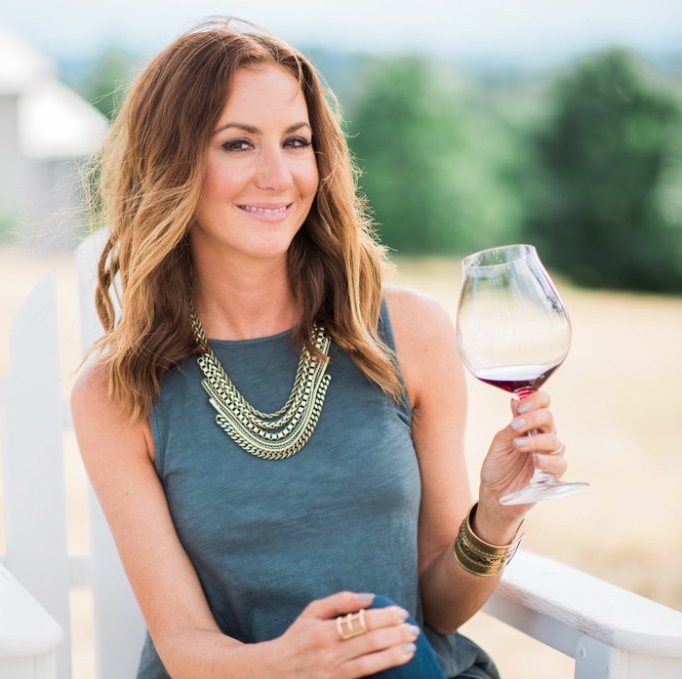 Pour the wine into the skillet and scrape up any golden bits with a wooden spoon. Add the remaining Dijon, whole grain mustard, and sour cream. 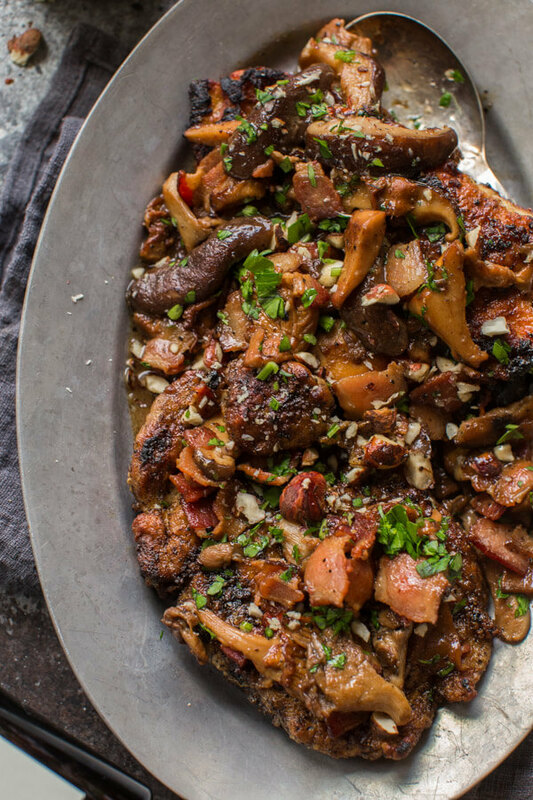 Return the bacon and chicken to the skillet and top with sprigs of fresh thyme. Reduce heat to low, cover the skillet, and allow to cook for 15-20 minutes, until the chicken is cooked through. Adjust seasoning with salt and pepper and serve immediately. 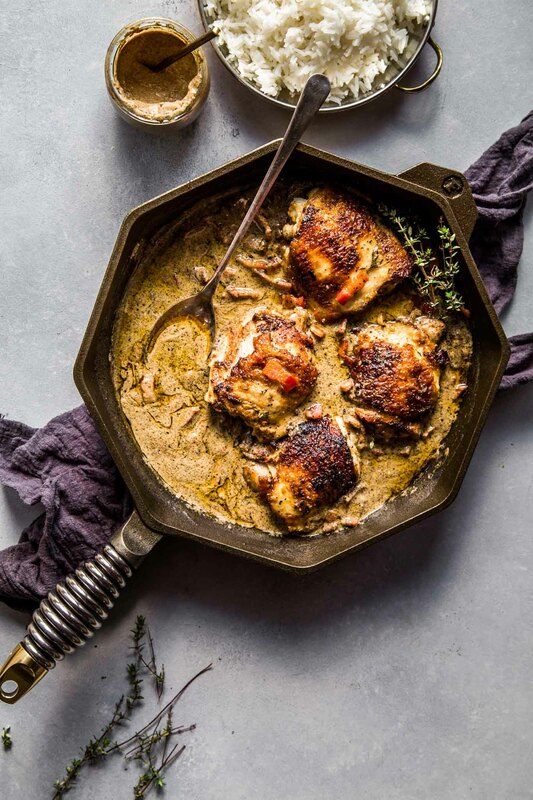 If you loved this One-Skillet Chicken with White Wine & Mustard Cream Sauce I would appreciate it so much if you would give this recipe a star review! Also, be sure to snap a picture of your finished dish and share it with me on Instagram using the hashtag #platingsandpairings and tagging me @platingsandpairings. Ahhh!! Anything cooked in 1 skillet is a winner in my house! This looks delicious! Yay for quick, easy recipes that dirty only one pan! Yeah, the dishes is always a negative in cooking (the other is a lot of prep- standing there cleaning and cutting all the ingredients before even getting to the cooking! ), so love that this is a one skillet dish and not much prep!! 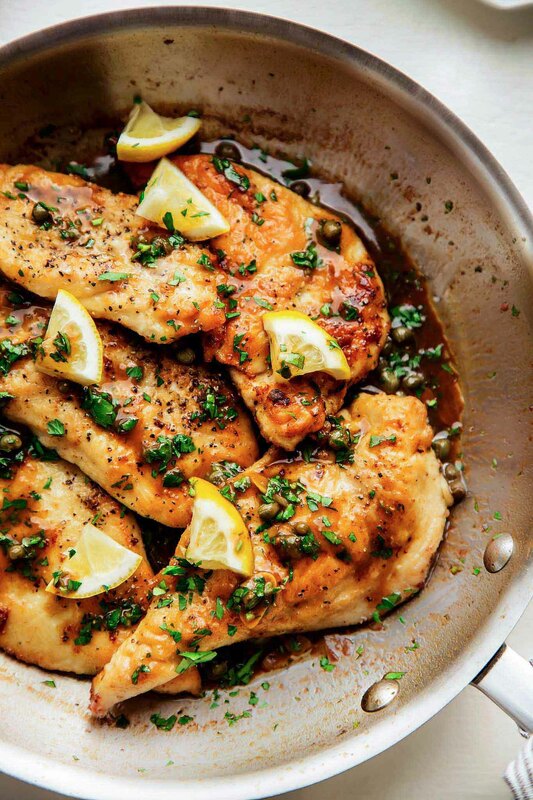 You are really on a roll with the one-pan chicken dishes lately, Erin! This looks so savory! Yeah – I seemed to be on a one-pan kick for a while there. Maybe it was because the BF wasn’t home to do the dishes 😉 This One-Pot Harissa Chicken with Chickpeas was one of my favorites! Recommend any sides to pair with this dish? I was thinking asparagus or brussel sprouts. Both of those would be amazing Mark! Or, try this Roasted Broccoli with Lemon, Garlic and Parmesan. 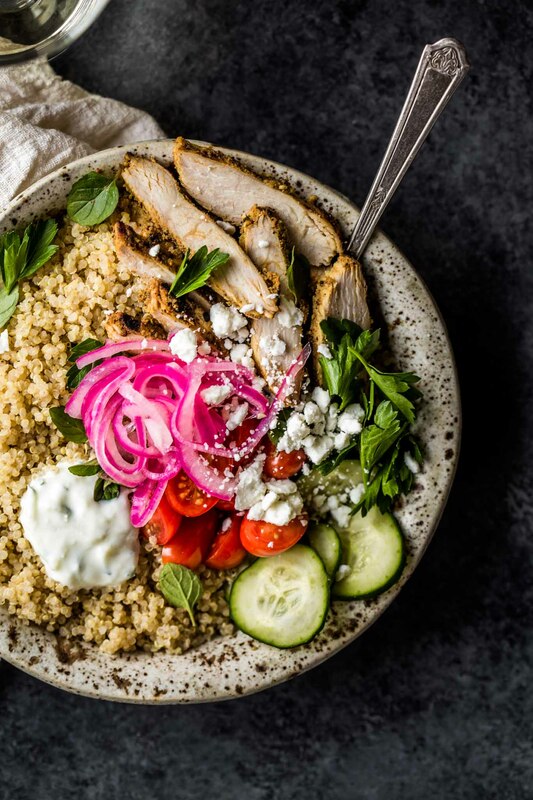 i made this tonight for dinner and omg so so so delish! my 7 year old who doesnt like most things devoured this dish! i made it with chicken breasts because i grabbed breasts instead of thighs and it turned out amazing! cant wait to try this with thighs next! this one is a keeper! excellent job! So glad that you and your youngster loved this Amanda! I didn’t quite have the correct ingredients but was determined to make a version of this divine looking dish – ie pancetta lardons in lieu of bacon, sour cream/used double cream, Dijon /used mostly whole grain and dash of English mustard, instead of chick thighs/used free range chick breasts cut into large chunks and wine /organic Pinot Grigio – added some chestnut mushrooms at the bacon stage for extra veg and served with a daphinoise potatoes – OMG. 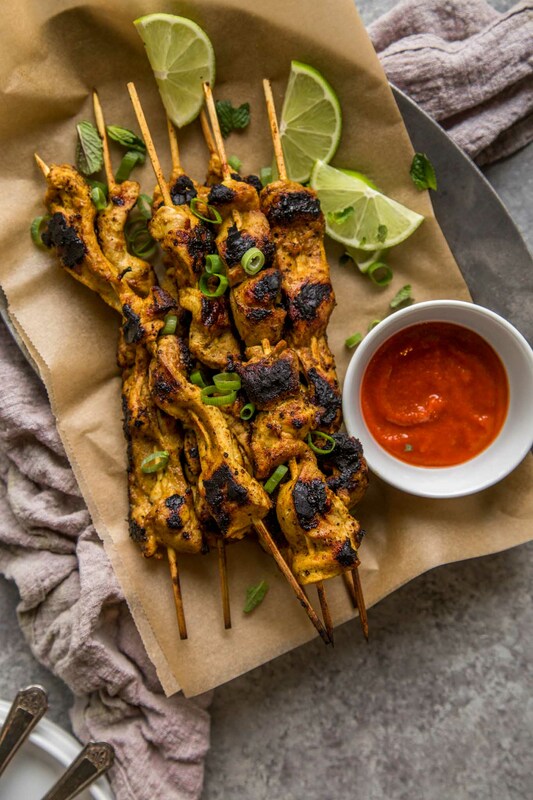 This is going in my weekly meal planner and my entertaining friends recipes…..and a recipe that I’ll trust my husband will be confident to make too! Sooooo yummy – THANKYOU!! :)))! Ooohhh – Your tweaks sound absolutely fantastic and so delicious. I love that you threw mushrooms into the mix. I will need to try that next time! It doesn’t say if you use skinless chicken or skin on? Hi Stephanie – I used skin on chicken.